Great things have been made in the area and some still are: most of the RAF's current fighter aircraft, such as Eurofighter Typhoon. Also at Leyland Trucks they still produce thousands of trucks. 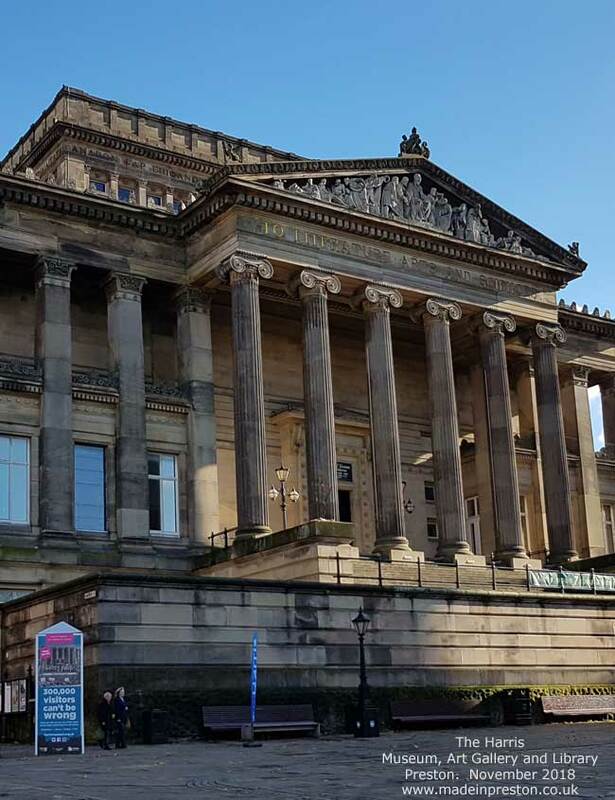 The Harris Museum, Art Gallery & Library is a Grade 1 listed building containing magnificent collections. In its 125th year it needs critical repairs and revitalisation. A case is being made and funding sought but it needs as many people as possible to show that they care. A fundraising page has been set up. Please visit the link below to find out more, every bit counts. 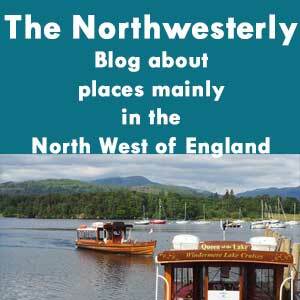 The North Westerly Blog - infrequent ramblings about things in the North West and places. 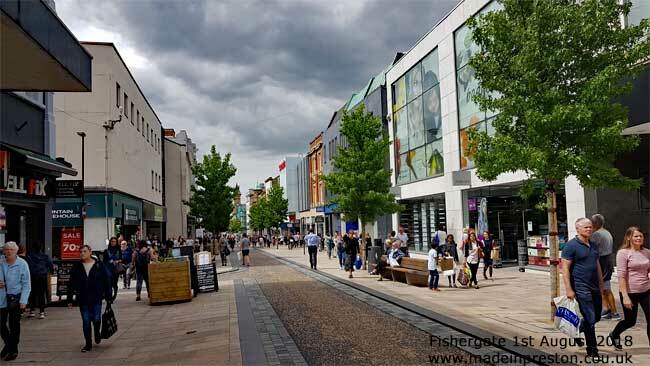 Fishergate looking well with its trees and the restricted vehicle access. Preston's main shopping street with the Fishergate Centre and station at one end and the ornate Miller Arcade and the excellent Harris at the other. The charms of Georgian Winckley Street and Square to the south and St George's Centre to the north. The newest pages: The blogs are updated every few weeks. 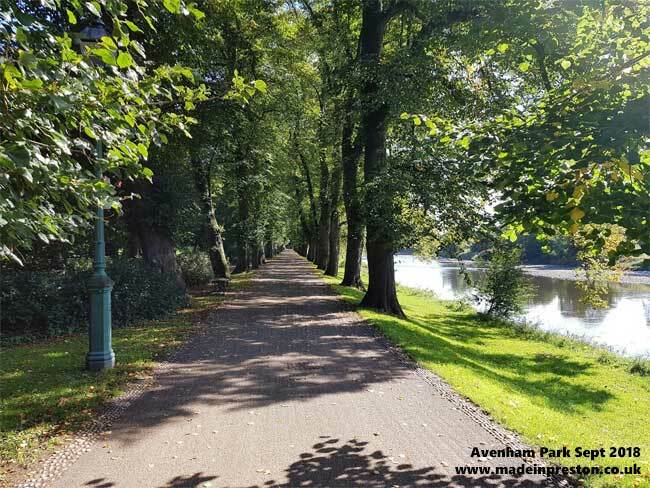 Places to visit or see in Preston. Monthly PNE status since 2005, click here. 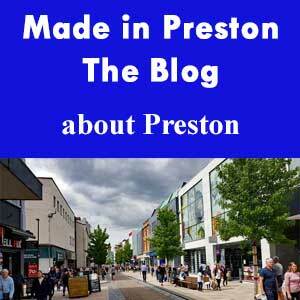 www.madeinpreston.co.uk - website since 2002. We also have Facebook, Twitter and Flickr accounts. . We're not to be associated with anything else calling itself Made in Preston. This is 2002 vintage. If only there was time to do all planned for this website. But we plod on multi-tasking with other websites and social media by the same author. Hope you like it.